Here is a quick snack which is healthy and filling, during those lazy weekends. I used two cans of cooked corn kernels (by discarding the liquid inside) for my chat recipe as it requires less work and will be ready in a jiffy. If you are using fresh corn on cob, make sure to boil those before removing the kernels. Some useful tips in choosing good corn and various methods of cooking it can be found at this website – Learn about Corn. I found this by accident, and thought it is so useful to learn about corn. In a bowl, mix all the above ingredients, leave it for 5 minutes and enjoy as an evening snack or any time of the day whenever you feel like having a quick healthy snack. If you wish to refrigerate the chat and eat it cold, mix all the above ingredients excluding cilantro and lemon juice and toss those in just before eating. As corn is a low fat food with loads of vitamins (C and A mainly) and fiber, it does serve as a diet food for health-conscious people. I just realized dear Divya Vikram of Dil Se... has annouced an event called "Diet Foods". I asked her if I can send this corn chat to her healthy event and she said yes. So CORN CHAT is making its way to the above event. This is also my contribution to "Eat Healthy - During Pregnancy” event hosted by Sangeeth. Yummy and a healthy snack... Nice click. 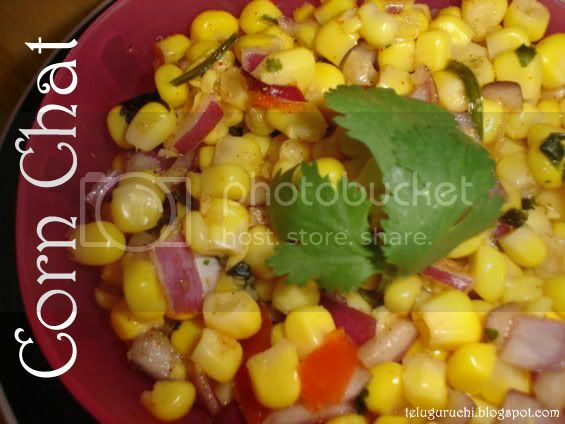 Corn chaat looks yummy. Nice picture. Thats a yummy dish, my kids love it!! Yummy looking chaat! and super simple too.. I've never tried this.. Simple, delicious and nutritious: lovely job as usual, Uma. I know of a corn salad that's made just by grating the corn off the cob, must dig up that recipe sometime! Looks delicious Uma..Yes u can send it for the event..
good one..i love this chaat!! 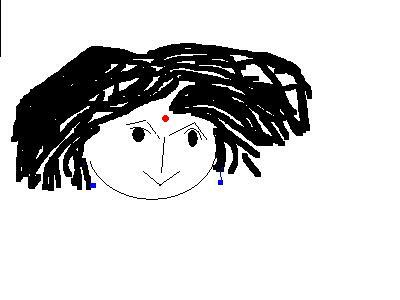 a power-packed snack uma..nice entry too..
thanks for your comment uma. 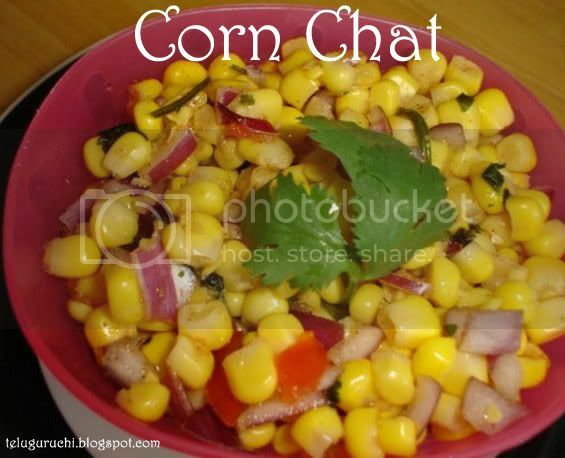 corn chaat looks good. Wow this looks awesome. Nice entry to the event. Uma I love corn chat and i add potatoes and cucumbers too and sometimes grated carrot. Its a healthy snack and best one easy salad to make when you have guests. You have changed your template. Love the colors. Uma you are right corn chat is really healthy, I have this for lunch many times when I am alone..
yummy corn chaat.. i just loved it.. I wish I could have some of that chat right now. It looks so fresh and tasty. corn chat looks tempting!!!! that's a very simple but delicious dish!!!! !perfect entry for the event!!!! Nice one.. simple n healthy! I have tagged you, please check my blog and collect it. Its nice to know about fellow blogger’s through tagging. Totally yum! Good picture too! The best part is that it tastes good even if not warm - I do this often for the kids short break, and use it as a filling for canapes! nice new tempalte, dear uma. Wonderful yummy looking corn Uma.